Sophia J. de Vries was born in Arnhem, Holland on February 2, 1901, the youngest of four children. She earned her bachelors' degree in education and a teaching credential in 1919, and then started working with children who had both emotional and learning difficulties. Her first introduction to Adlerian ideas was through the lectures of Fritz Kuenkel, a popular lecturer in Holland, who talked to teachers and parents about dealing with difficult children. In 1922, she traveled to Italy where she studied with Maria Montessori. Returning to Holland in 1925, she married and had two children. Eight years later, she continued her graduate education in psychology at Amsterdam University. Her interest in Adlerian psychology deepend when she began attending Alfred Adler's lectures in Amsterdam. In 1935 she went to Vienna where she took courses given by Alfred Adler, Lydia Sicher, Alexander Müller, Rudolf Dreikurs, August Eichorn, and Karl Bühler. Her study analysis was with Sicher, Adler's first assistant, and her case supervison was provided by Müller, a close co-worker of Adler. While in Vienna, she worked with Charlotte Bühler at the "Kinderrubernahmstelle," where she studied childrens' physical, mental, and psychological development. 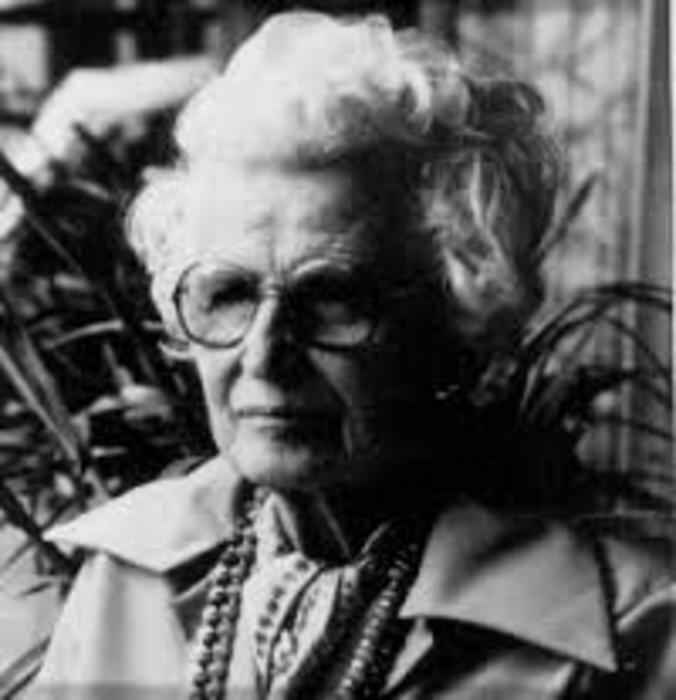 She also participated in many Adlerian study groups and child guidance clinics, where Ida Loewy and Martha Holub demonstrated child and family counseling techniques. World War II interrupted her doctoral studies. The theories of Adler and Freud were forbidden in Holland--only Jung's ideas were permitted to be discussed openly. Because she refused to take an oath of loyalty to Hitler, she was unable to attend the university. However, she did attend the International School for Philosophy in Holland, and heard lectures given by Carl Jung, Ludwig Klages, and Ernst Kretschmer. Although it was dangerous to do so, she continued to practice Adlerian psychology. After the war, in 1945, the Adlerian training group was re-established in Holland. Sophia was chosen for the Scientific Committee on Adlerian Psychology and taught courses with Alexander Müller in Amsterdam. In 1948 Sophia immigrated to the United States, settled in Southern California, and worked closely with Lydia Sicher. She moved to Northern California in 1952, worked as a case worker for Lincoln Child Center in Oakland, and continued to teach and develop a private practice. For nearly twenty years, she served as a mentor and consutant to the Alfred Adler Institute of San Francisco, offering study groups, case analysis seminars, supervision, and study-analyses to students. Sophia provided the insight and inspiration for our institute's dedication to Adler's original teachings and his diplomatic, creative style of treatment. One of her great contributions to Adlerian practice was her masterful adaptation of the Socratic method to psychotherapy. Her translations of several writings of Alexander Müller and Alfred Adler provided the foundation for The Adlerian Translation Project, dedicated to translating, editing, and publishing The Collected Clinical Works of Alfred Adler, as well as the unpublished manuscripts of Alexander Müller, Anthony Bruck, and other Classical Adlerians.